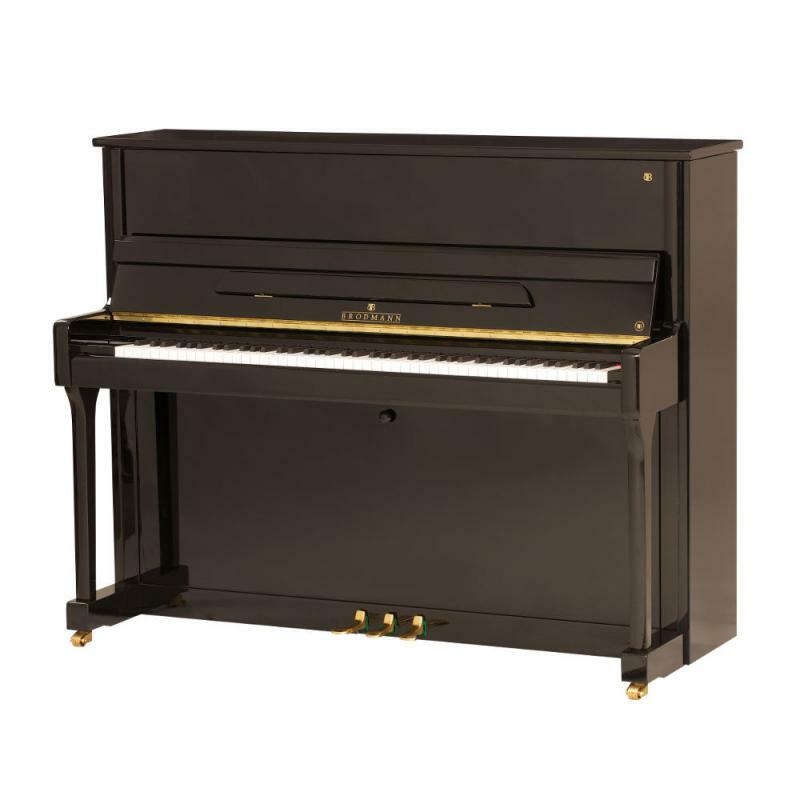 Brodmann’s PE 121 Mid-size, traditional style upright piano, is an ideal instrument for institutions, students and home use. Finished in ebony polish or white polish with 7¼ octave (88 keys), 3 pedals (including mute), Langer Action, European components (including German hammer felt and German agraffe scaling). H: 121 cm / 48"